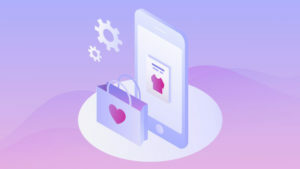 Global research suggests fashion retailers in the UK are the most successful at persuading online visitors to buy, both on mobile and desktop. But UK shoppers spend less on each order than the global average (around 27% less on orders placed via mobile and 32% less on desktop orders). This is despite their orders including more items on average. 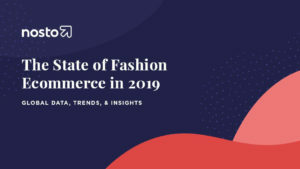 These insights come from a global study of eCommerce in fashion from Nosto, the eCommerce personalisation and retail AI platform. The data suggests that UK fashion eCommerce sites have conversions rates of 1.6% on mobile and 2.9% on desktop (higher than corresponding global rates of 1.3% and 2.4% respectively). However, the UK average order value, which is $75 on mobile and $82 on desktop, is substantially lower than the global average ($103 on mobile and $120 on desktop). This is despite the UK’s average basket size being slightly higher. For example French shoppers seem to love using their phones for digital window shopping. They have the longest visit times on mobile (186 seconds), more than 20 seconds longer than the global average of 164 seconds. The average visit time on desktop in France is 253 seconds, compared with 143 seconds globally.